Material compiled by Kaye Pullen during the preparation of Mrs. Ford's speeches and public statements. Included are speeches given during the 1976 presidential campaign, the Bicentennial and concerning cancer, women's issues, and the arts. Many were annotated by Mrs. Ford. 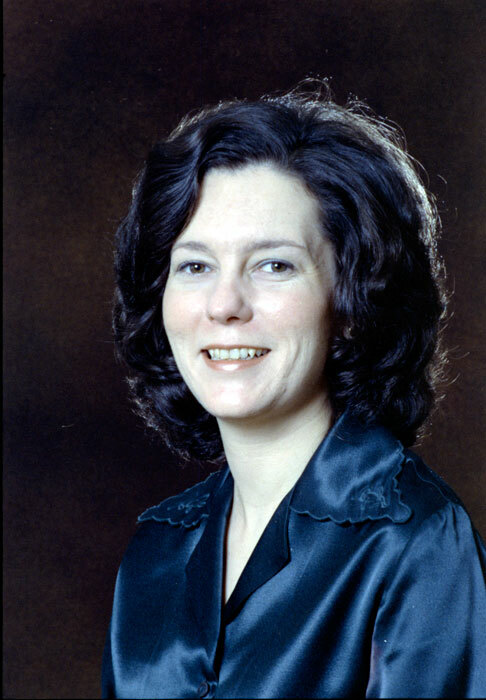 Frances Kaye Pullen (usually know as Kaye) joined the White House staff as a speechwriter for President Ford in the Editorial Staff Office in November 1974. One year later she informally began assisting with Mrs. Ford's speech preparation and transferred to the First Lady's staff in February 1976. Pullen remained on the First Lady's staff as her speechwriter, reporting directly to Sheila Weidenfeld, Mrs. Ford's press secretary, until the end of the administration. Pullen was responsible for drafting the First Lady's speeches. These remarks rarely lasted longer than five minutes and were usually given during "drop-by" affairs scheduled for the First Lady. Pullen also prepared occasional background briefing papers for Mrs. Ford's trips and assisted in the preparation of special messages the First Lady sent to various groups. Many of the speeches prepared by Pullen and given by Mrs. Ford in 1976 were related to President Ford's campaign. Other common topics included cancer, the Equal Rights Amendment, the Bicentennial, and the presenting and receiving of many awards. The First Lady's speeches often went through several drafts before an acceptable text was agreed upon. Pullen's files consist largely of these early drafts and copies of each annotated by Mrs. Ford. Also included in many of the speech files are schedule proposals and agenda for each event where Mrs. Ford was to speak and background material gathered by Pullen to aid in speech preparation. Pullen often interviewed Mrs. Ford before composing a speech and her notes concerning these meetings are in several of the speech files. It is not clear who was responsible for Mrs. Ford's speeches before Pullen joined the First Lady's staff in February 1976. Due to Mrs. Ford's illness in the fall of 1974, she did not do much public speaking until 1975 and during that time only occasionally until the presidential campaign was underway in 1976. It is likely that Sheila Weidenfeld composed some of Mrs. Ford's statements with the assistance from the President's staff. Pullen's materials concerning President Ford's speeches are scattered throughout the Paul Theis and Robert Orben Files. The files of Sheila Weidenfeld, Mrs. Ford's press secretary, include scattered speech drafts for miscellaneous events as well as more background on all events where Mrs. Ford appeared. The Betty Ford Papers including background on Mrs. Ford's trips and her participation in Washington-area events, as well as some speeches. Some material in the White House Central Files Subject File designation for Betty Ford, PP 5-1, may also be relevant. Briefing papers, speech drafts, agenda, schedule proposals, internal memoranda and background material. This file concerns only the speeches that Pullen wrote for Mrs. Ford from February 1976 until the end of the administration, many of which are related to the presidential campaign. Major speech topics include cancer, the Bicentennial, the Equal Rights Amendment and the campaign. Arranged chronologically. Reading copies of the speeches given by Mrs. Ford, including two from the eight-month period when Mr. Ford was Vice President. This file also includes speeches from the period before Pullen was writing for Mrs. Ford. Many appear to be the reading copies used by Mrs. Ford in delivering the speeches and are annotated in her hand. Arranged chronologically. The Library is currently in the process of digitizing this collection. Boxes 3 and 4 (and part of box 1) are complete. Click on folder titles to view contents. 1976/04/22 - White House Photographers' Association Dinner, Washington, D.C.
1974/11/22 - National Association for Mental Health Luncheon, Washington, D.C.
1975/10/14 - Calder Sculpture for the Blind Unveiling, Hirshorn Museum, Washington, D.C.
1975/11/17 - Alexander Calder Jet Dedication, Dulles Airport, Washington D.C.
1976/04/22 - White House Photographers Dinner, Washington, D.C.